During the winter tomatoes does not taste equally as good as they do during summer, for obvious reasons. 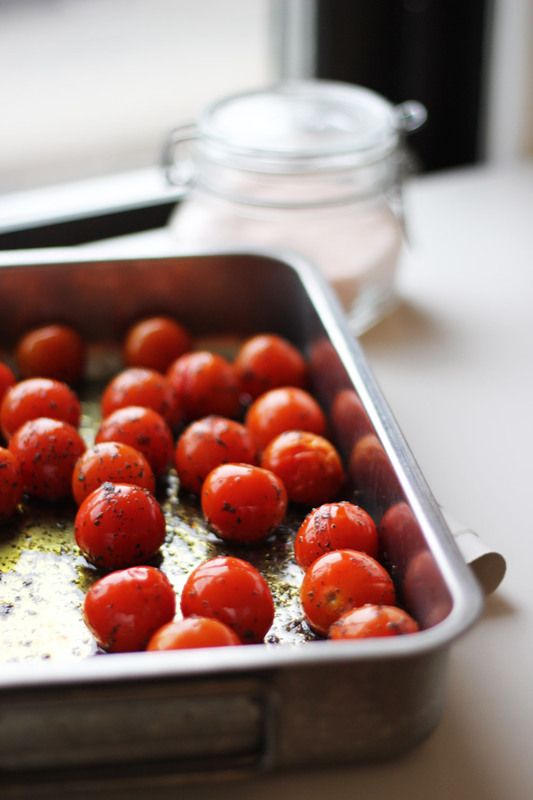 However I like to roast them in the oven, either cherry tomatoes like on the photo above,with some oil, salt and in this case mint. When I do them like on the picture above, I either use them to compliment another dish or on top of a salad during winter. I also like slicing up larger tomatoes and slow roasting them in the oven for soups, intense tomato sauces and other dishes. If you want to know my process, check out this post.